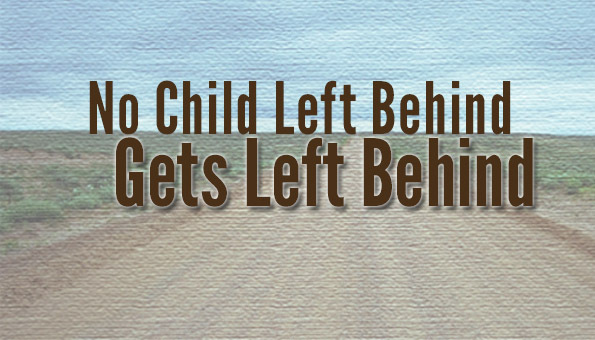 And, just like that, No Child Left Behind gets…left behind. 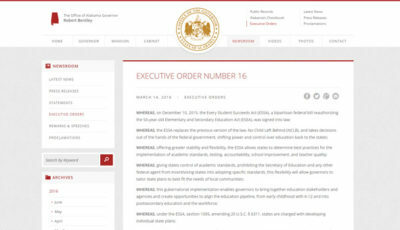 The U.S. Senate passed a reauthorization of the Elementary and Secondary Education Act (ESEA), called the Every Student Succeeds Act by a vote of 85-12. President Obama is expected to sign it into law on Thursday. Sen. Lamar Alexander (R-Tenn.), chair of the Senate committee responsible for ESSA, called the passage of ESSA a “Christmas present for 50 million children and 3.4 million teachers in 100,000 public schools across this country”. Sen. Richard Shelby (R-Ala.) voted no, and Sen. Jeff Sessions (R-Ala.) voted yes, mirroring their votes yesterday to end debate on the bill. Both Senators voted for the original passage of No Child Left Behind (NCLB). “While this bill may be well-intentioned and makes some improvements to our current policy, it is a missed opportunity to truly put an end to unnecessary federal intervention into education. I have always believed that education decisions should be made at a local level and that Congress should empower parents and teachers – not Washington bureaucrats. Instead, this bill extends some of the same failed policies that could provide a path for top-down federal mandates like Common Core. In an email to its members yesterday, the conservative Eagle Forum of Alabama urged members to contact and tell Alabama’s Senators to vote no, stating that ESSA actually expands the federal government’s role further than it ultimately repeals the “excesses” of NCLB, citing federal funding for preschool and community learning centers as examples of areas in which the federal government should not be involved. “For our Republic to prosper, states must be allowed to handle education once again,” read the Eagle Forum’s suggested letter to Alabama’s senators. In very real ways, ESSA returns some control to the states, including forbidding the U.S. Secretary of Education from coercing or incentivizing states to adopt any particular academic standards and instead leaving it up to states to adopt “challenging” academic standards. However, ESSA does keep essential parts of NCLB intact, including yearly testing for students in grades 3 through 8. And it adds a requirement to test students in science at three different times in grades 3 through 12. In addition, test results must still be broken down, or disaggregated, by subgroups and publicly reported. What to do about those results remains a state decision. The federal measure of Adequate Yearly Progress is gone forever. 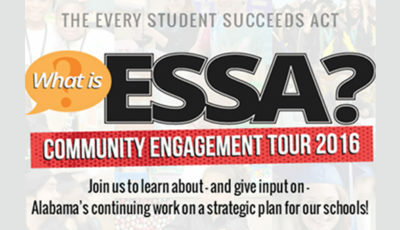 Here are the highlights of ESSA. 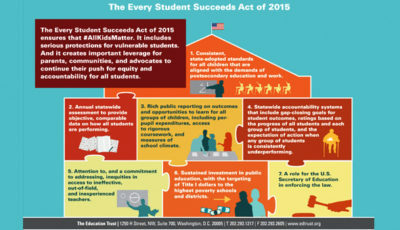 The White House released this blog post about ESSA on Monday. The State Board of Education will hold their regular monthly meeting and work session on Thursday, and ESSA will be a likely topic of discussion. The Alabama Association of Schools Boards took to Twitter to urge support of ESSA. 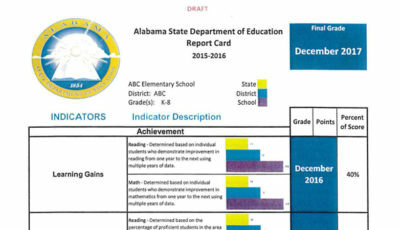 This release, from Rep. Martha Roby (R-Montgomery), depicts a number of Alabama’s educators and advocacy groups’ responses to the passage of ESSA. There is little doubt that as the careful dissection of the 1,059-page bill begins, more will be shared about what ESSA does and doesn’t do. This post will be updated if other official statements are released.